On 23 June 2016, the UK voted by referendum to leave the European Union (EU). As a result, on 29 March 2017, the government triggered the ‘Article 50’ process, which would see the UK leave two years later, on 29 March 2019. If, as expected, the UK formally leaves the EU, a large number of complex issues for aviation will need to be resolved in a very limited timeframe. This is necessary to avoid substantial negative impacts on existing business and aviation practices which exist today. These norms are built upon many years of deep integration between the EU and UK – at an institutional level, but also commercially. 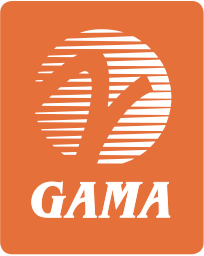 As a global industry, GAMA member companies are multi-national by nature. In the specific case of Europe, pan-European operations are the norm, as the elaborate process of design, manufacturing and maintenance of aircraft necessitates. Many general aviation companies rely on small and medium enterprises (SMEs) spread across numerous countries to supply crucial parts and services as part of their day-to-day processes. A key element of this in the European market is the speed and efficiencies provided by the EU’s Internal Market and Customs Union. Equally, servicing a customer base spread across Europe is greatly facilitated by the current pan-European nature of safety and environmental regulations and standards. GAMA believes that in order to ensure business continuity and the harmonisation of safety rules impacting our industry, it is clear that an outcome which ensures the UK remains as close and as integrated as possible within the existing EU aviation safety system is needed. The alternative, as outlined in our White Paper below, represents many risks, and poses a highly challenging route for both industry and the relevant authorities to minimise negative impacts for the sector. Similarly, the creation of obstacles or delays in the free movement of aerospace products and people risks negatively impacting the European aerospace sector. In parallel, it is imperative that pragmatic solutions are found to allow for the continued bilateral cooperation between the UK and third countries, to avoid disruption to established arrangements between major global regulators. Similarly, ensuring a harmonised and cooperative approach on broader environmental rules and standards affecting aviation – such as chemicals regulation – is essential to avoid duplication and divergence. 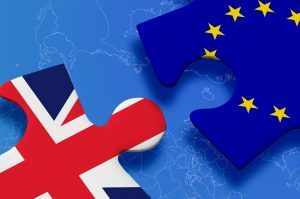 In October 2017, GAMA produced a White Paper aimed at providing an in-depth look at the impact of the various Brexit scenarios on our diverse membership. This paper was subsequently revised in May 2018. For more information please contact GAMA in Brussels at brussels@gama.aero.